The Woodward Avenue Environmental Laboratory and Administration Building is located at the City of Hamilton’s central sewage treatment plant. An Operations Control Centre, it tests and monitors the City’s municipal water and wastewater. The building consists of four distinct laboratory components, administration offices for Plant Operations and Compliance and Regulation Divisions. 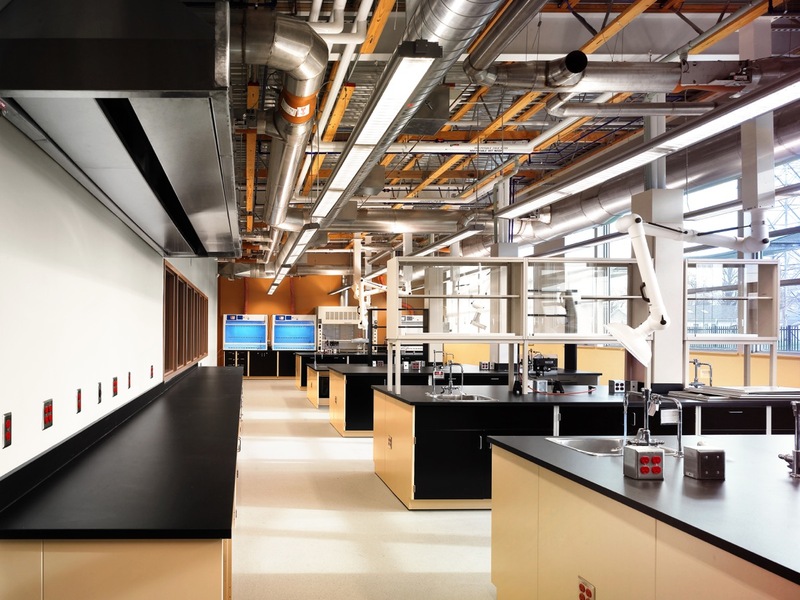 We designed its laboratory with sustainability at the forefront. It achieved LEED Silver Certification and in the process, it paved the way for other green initiatives in the City. The building boasts many sustainable initiatives, creating a healthy and superior working environment for City staff. We heavily focused on indoor air quality, water conservation, the key areas of focus being indoor air quality, water conservation, and energy efficiency of the building.